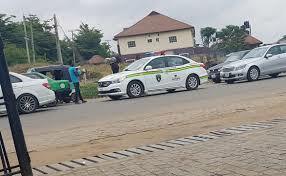 Police operatives on stop and search duty at Nyanya, a satellite town in the FCT, Abuja, have arrested one Tochukwu Nwodo, 32, and his accomplices, Gabriel Ileso, 32, and Michael Damelak, 20, for being in possession of a fabricated pistol and three live ammunition. 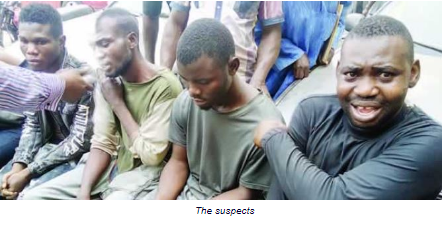 The FCT Police Command said the suspects confessed during interrogation that they were on the way to a robbery operation with the firearm, which was allegedly supplied by a dismissed soldier, 32-year-old Friday Audu. The FCT Commissioner of Police, Bala Ciroma, said two fabricated pistols, 11 rounds of live ammunition, an expended ammunition and some military uniform and accouterments were recovered from them. While speaking to journalists, Audu, who was dismissed from the army along with over 300 others for mutiny in Maiduguri, Borno State, last year, said he knew nothing about the recovered pistols. He accused one of his co-suspects, whom he claimed was his friend, of implicating him in the crime. He, however, admitted ownership of the military uniform. Audu explained the reason he did not return the uniform to the army. He said, “I was dismissed for mutiny alongside other soldiers in Maiduguri; the military uniform and boots are mine; I kept them in my house in Abuja, while living in Anambra State, where I work as a bodyguard to Governor Willie Obiano. “It is not true that I was planning to carry out a robbery with the other suspects. I was arrested through one of the suspects, who is my friend."